FriXion writes smoothly just like a regular gel ink pen but allows you to erase like a pencil at any time. Unlimited do-overs allow you to write, erase, and re-write repeatedly without damaging your documents. The eraser tip won't wear down or leave crumbs behind. With FriXion, no one will know it wasn't perfect the first time. FriXion's smooth, mistake-free writing benefits teachers, parents, and professionals alike. FriXion erasable gel ink pens are available in a variety of colorful inks and point sizes that are great for making lists and staying organized. Complete Sudoku and crossword puzzles without a mistake or a hole in the paper. Keep calendars neat, even when appointments change. Students can use FriXion to take notes, edit papers, and complete homework. FriXion's erasable ink technology is available in a variety of styles and point sizes to suit your everyday writing needs. The eraser is at the end of the pen. 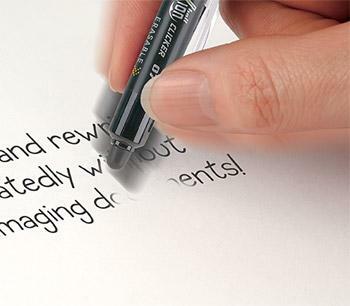 FriXion Clicker offers FriXion erasable gel ink in a convenient retractable pen with 0.7 mm Fine Point. Simply press down on the clip to retract the point. 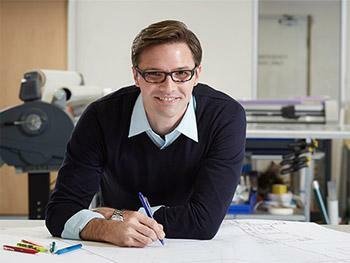 FriXion Ball, the first FriXion pen released in the United States, is a capped pen with a 0.7 mm Fine Point. For those that prefer a precision point tip for precise writing, FriXion Point is available in 0.5 mm Extra Fine Point and is a capped pen. FriXion Clicker, FriXion Ball, and FriXion Point are all refillable with FriXion erasable gel ink refills to extend the life of your favorite FriXion pen. 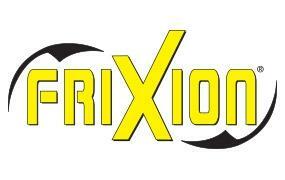 To round out the FriXion offering, FriXion Light is an erasable highlighter with a chisel tip for clean, clear marking. Whether note-taking, editing, completing schoolwork, or in an office setting, FriXion products take the stress out of everyday writing. Note: FriXion erasable gel ink pens & highlighters are not recommended on legal documents. If pen is exposed to temperatures above 140 degrees Fahrenheit, the ink will be colorless when writing. To restore color, cool to at least 14 degrees Fahrenheit in a freezer and the ink will again write in color.